Note: On the Bench Press, we will be utilizing “Tempo Training” methodology. On the Bench, from the start position off the rack, descend to the bottom position on a 3 second count. Hold the bottom position for 1 second (keeping tension – the barbell does NOT “rest” on the chest), and then as rapidly as possible, explode to the top position. At the top position, take one full breath, and repeat for the required number of repetitions. Compare todays Bench Press weight and total repetitions to October 2, 2015 and November 5, 2015. 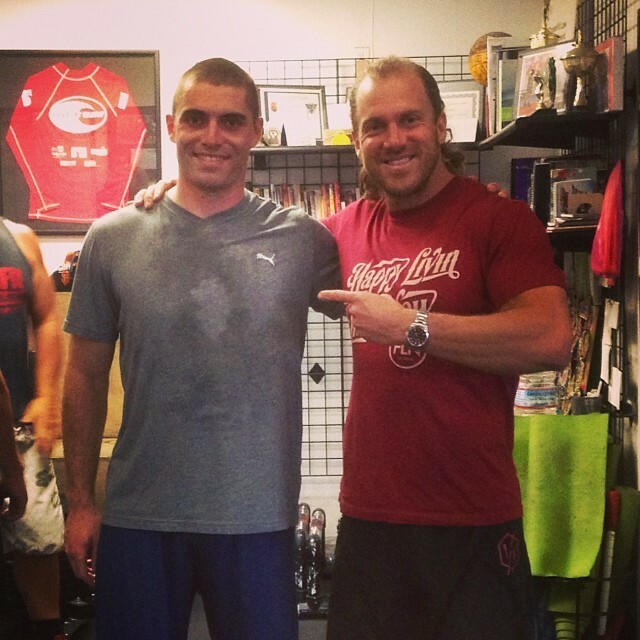 Congratulations to Nick who was recognized as Athlete Of The Week at CrossFit Amundson. Nick is a true serviceman in every sense of the word. After serving his beloved Santa Cruz County as a Beach Lifeguard, Nick felt called to a great opportunity to serve his Country in the United States Air Force. Nick recently returned from his Basic Combat Training as an Airman, with a long-term career goal as becoming an elite “PJ” or Para Rescue Jumper. Nick is an incredible athlete, and a fish in the water. Nick first made a name for himself during this past summers epic Endurance Workouts and Ocean Swims. Nick is a powerful swimmer and is at home in the water, especially the ocean. Nick and his wife are devoted to their Christian Faith, and are a beautiful example of a Godly couple. Congratulations Nick on all your success, and thank you for courage in serving our Country.